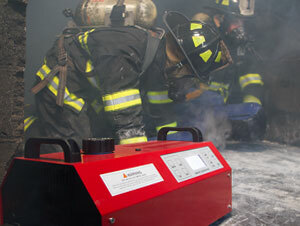 BullEx Smoke Generators are known for withstanding the tough demands of firefighter training. 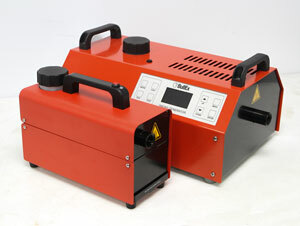 Now, our range of generators has been expanded to include a cordless smoke generator. 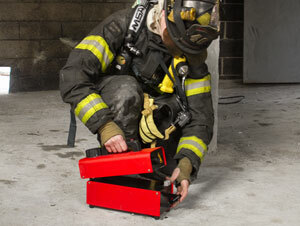 The SG1000 allows firefighters to conduct training anywhere – no cords required. The BullEx SG1000 is the perfect addition to your training arsenal. 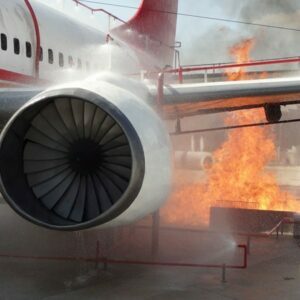 Expand your training capabilities to include specialized training scenarios in locations without power. 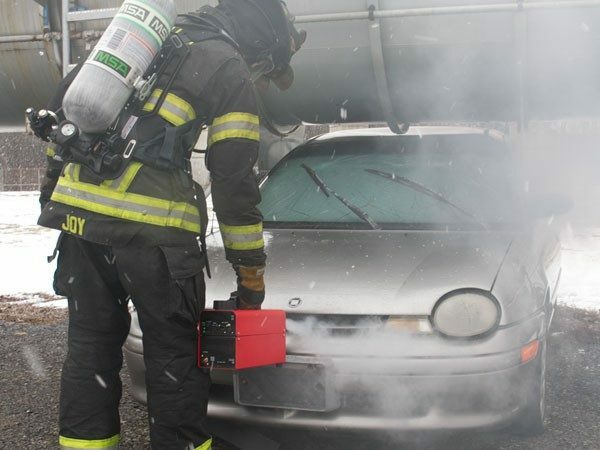 Quickly add smoke to upper floors of your training tower, vehicle extrication drills and remote locations. 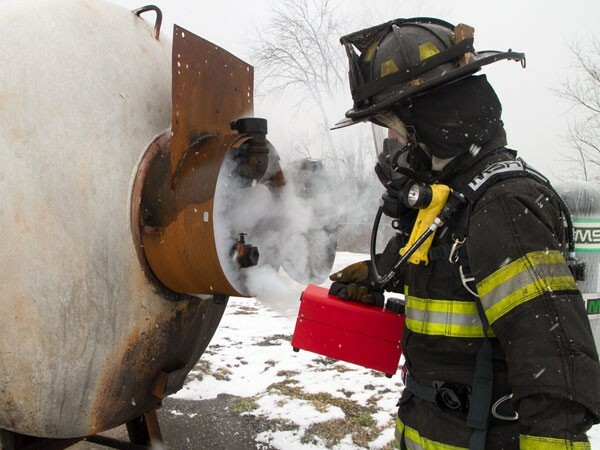 The SG1000 is built on a steel chassis with rugged components and a sturdy handle, making it tough enough to handle the demands of firefighter training. 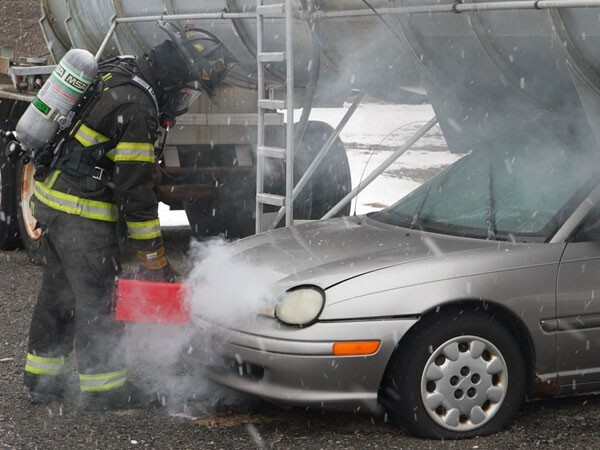 BullEx Smoke Liquid is specially formulated to produce dense, thick smoke. 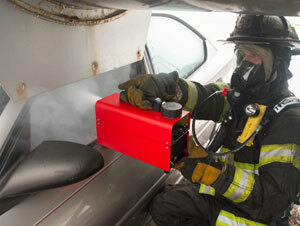 Advanced sensors and controls enable BullEx Smoke Generators to produce a continuous supply of smoke. 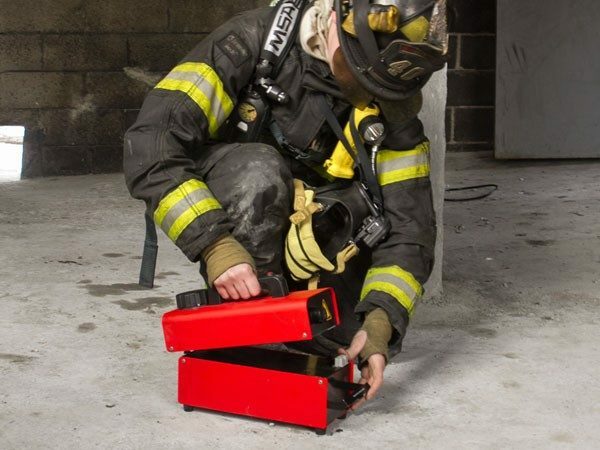 Cordless The SG1000’s interchangeable battery allows instructors to easily add smoke to upper floors in their training towers, vehicles, or outside training grounds where power isn’t available or easily accessible. Zero heat-up time The SG1000 instantly heats smoke liquid to the ideal temperature. Simply press the button for instant smoke. Portable The SG1000 weighs only 17 pounds, making it light enough for single hand operation and easy transport from one training location to another. 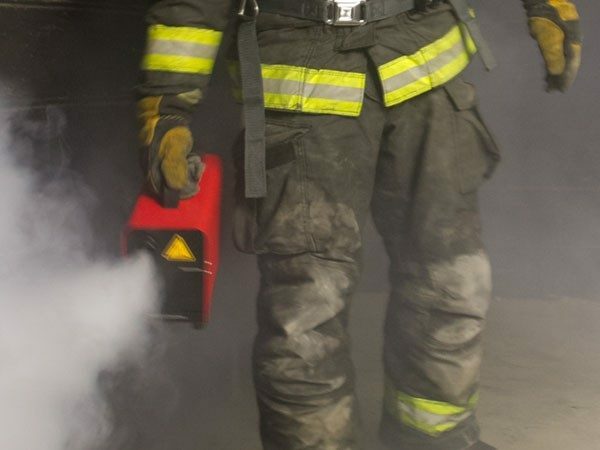 Long-lasting battery The SG1000 can be run continuously for 20 minutes and much longer when using smoke intermittently, producing the same high quality smoke during the first and last minutes of training. Easy operation Push button, single gloved-hand operation. The SG1000 requires no configuration or programming. 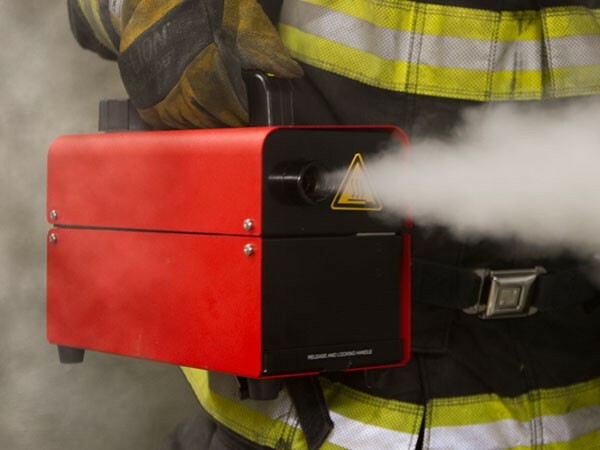 Users can adjust smoke density and create smoke bursts or set the output to continuous run. The SG1000 is ready to train whenever you are. 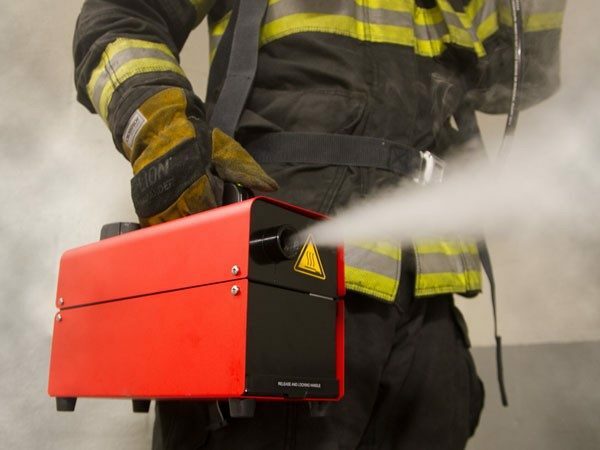 The SG1000 requires no heat up time – simply push one button for instant smoke. Choose the density of the smoke and select from smoke bursts or continuous output. The SG1000’s battery will run on continuous mode for 20 minutes, and much more when used intermittently. The battery can be easily changed out in the field for uninterrupted training. Battery-Power Base Add an extra battery base to run long training sessions without interruption. Transport Case Industrial grade, high-impact plastic case to transport the SG1000 to any training location. Wall-Power Base Add the wall power base to enable the SG1000 to be operated using electrical power. 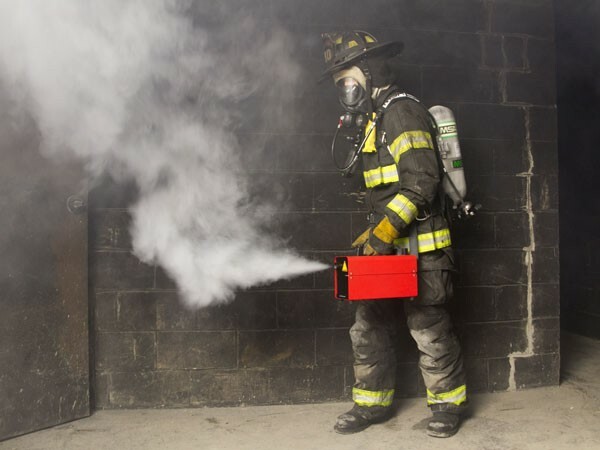 Smoke Liquid Our smoke liquid is formulated specifically for use in BullEx Smoke Generators. 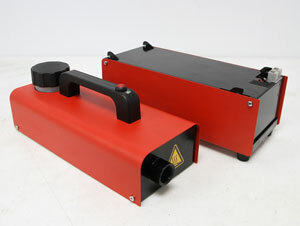 Smoke Liquid is available in 1, 5, 10 and 20 liter and 50 gallon containers. 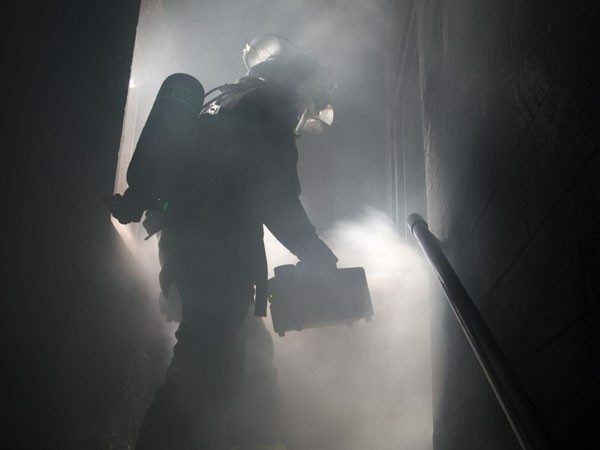 Flexible Smoke Duct Set Duct smoke to specific areas of your training location with the flexible smoke duct set.